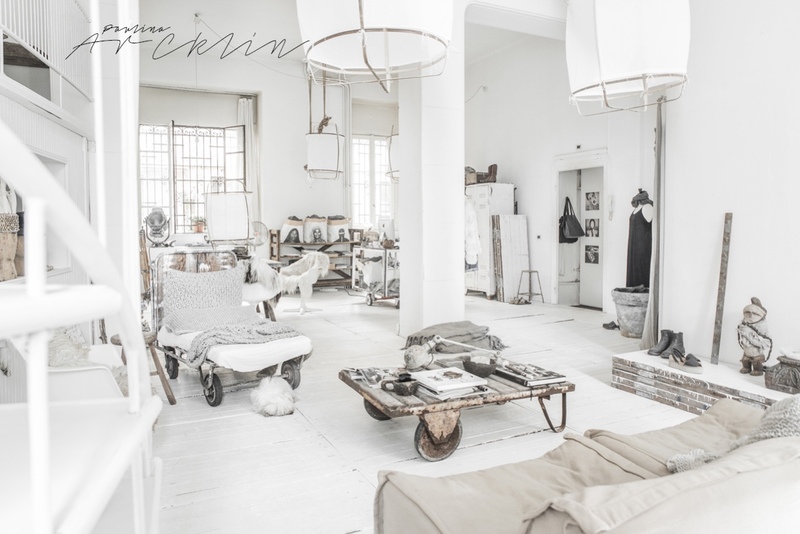 It's a combination of photo studio, styling lab, creative office. 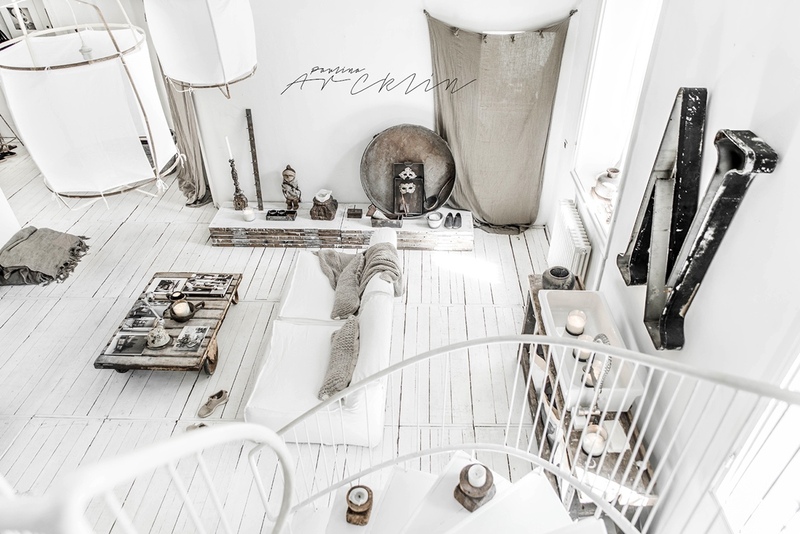 But above all, it's the gorgeous and endlessly fascinating home of Milan-based photographer Paulina Arcklin. 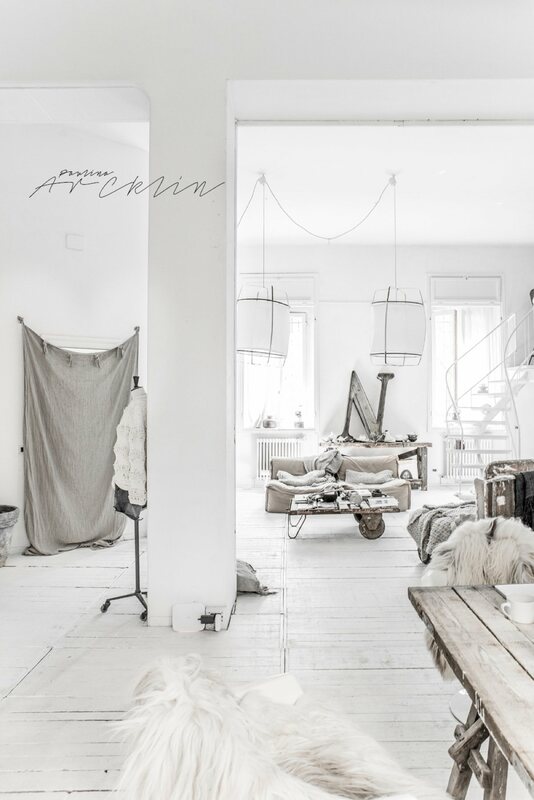 The interior features a contrast of texture and theme – rough industrial accents add depth and character to their light Scandinavian inspired backdrop, its ethereal quality constantly grounded by creative reinterpretations of everyday objects. 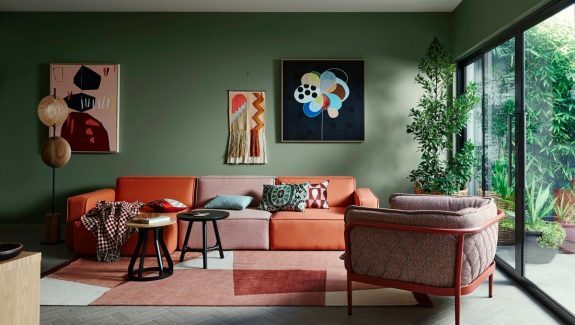 If you're the type of decorator that foregoes antique stores in favor of rescuing rusted treasures from moss-covered barns or forgotten warehouse basements, this apartment is sure to stoke your thirst for adventure. 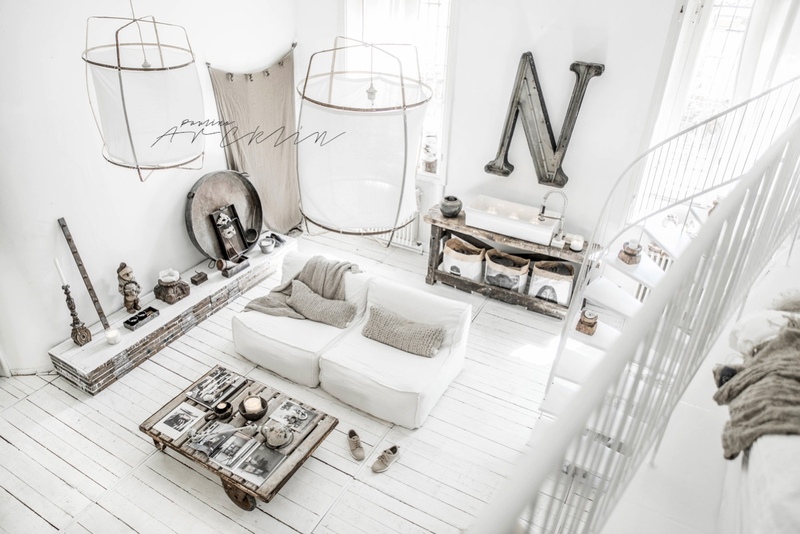 This home boasts inspiring furniture choices built from reclaimed materials. A rolling cart becomes a dining table, stacked lumber serves as a sideboard, and a beautiful live-edge workbench holds a sink-turned-votive holder. 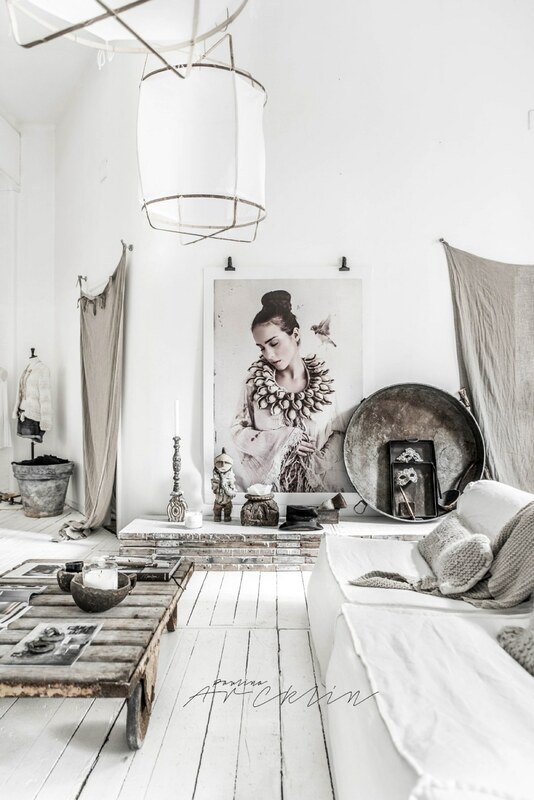 Delicate fabrics and distressed paint weave a breezy, welcoming atmosphere. 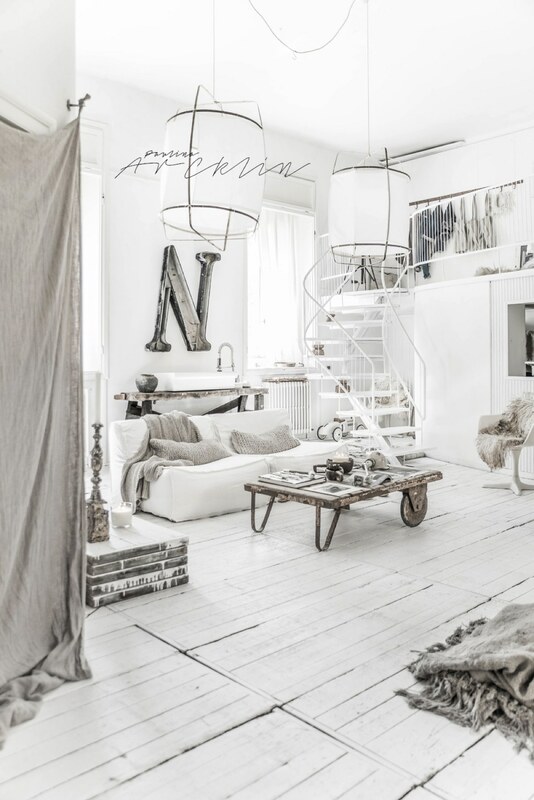 The grey and white color theme might have felt too cool without the addition of warm rusted metal and naked wood. Have you noticed the abundance of wheels yet? 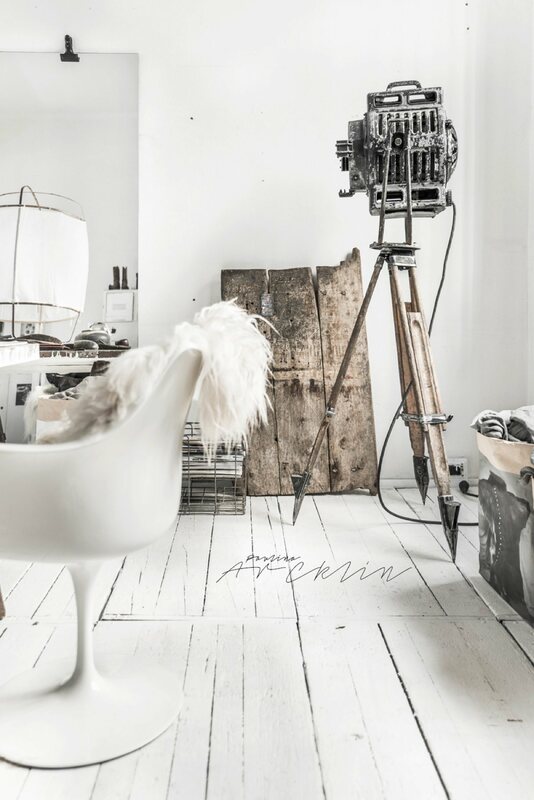 It’s a very deliberate choice owing to the home’s secondary life as a photography studio. Everything is easy to move around for staging purposes. 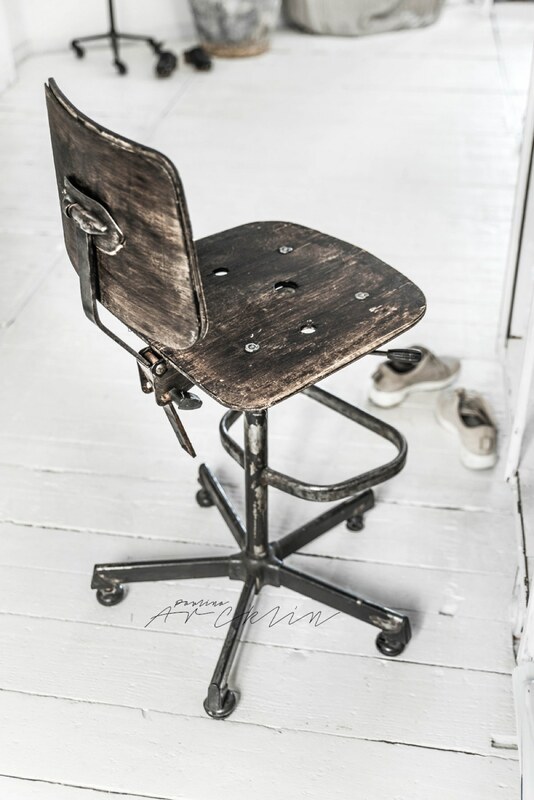 The patina of age makes each piece impossible to replicate, but the theme is itself is readily adapted to nostalgic DIY projects. 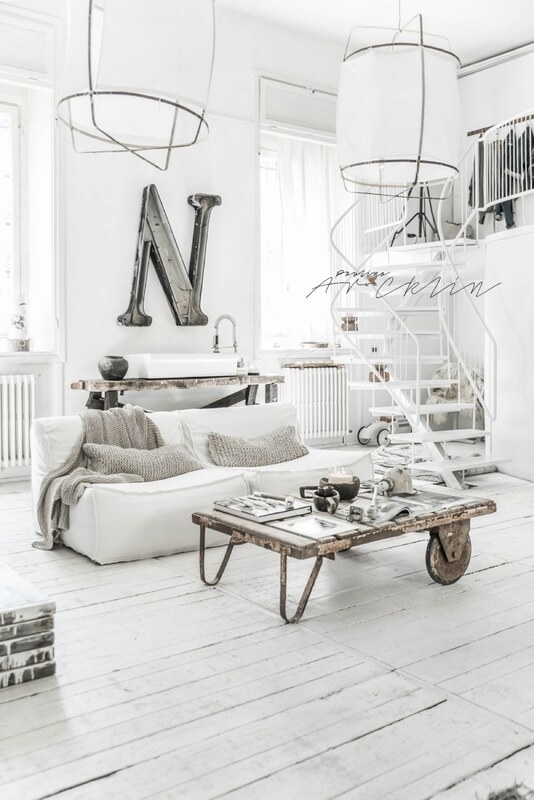 A mixture of artwork, antiques, and vintage trays make up the eclectic decor theme. 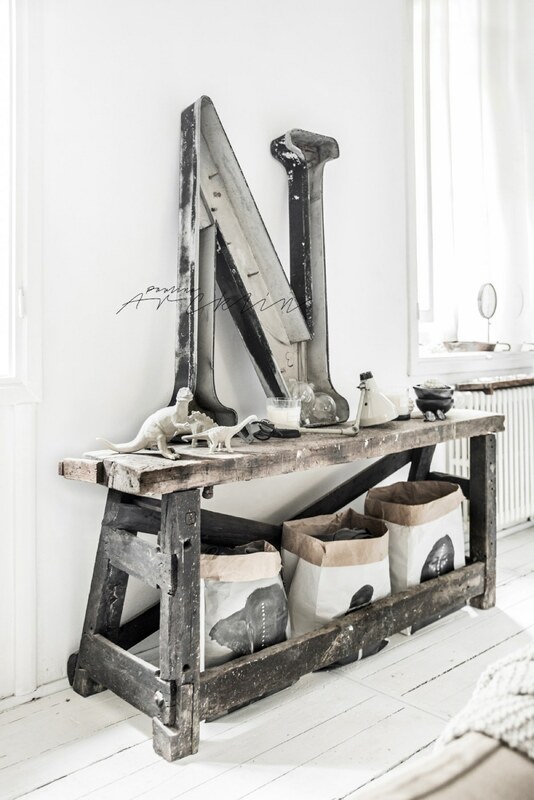 Each item is different yet meets a unified aesthetic thanks to age, wear, and sometimes a touch of paint. Are you in love with the floorboards? 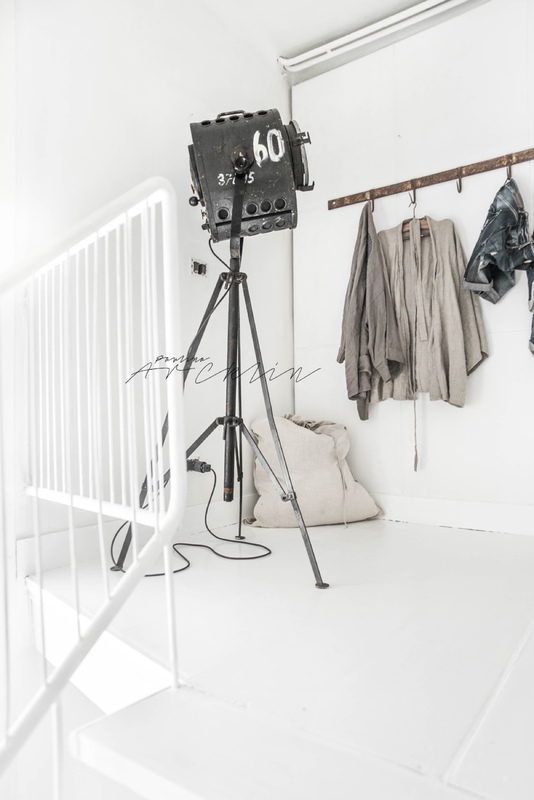 The owner/photographer actually makes 26 of the panels available as rental props, so it’s possible to assume the ones in the apartment are modular as well. 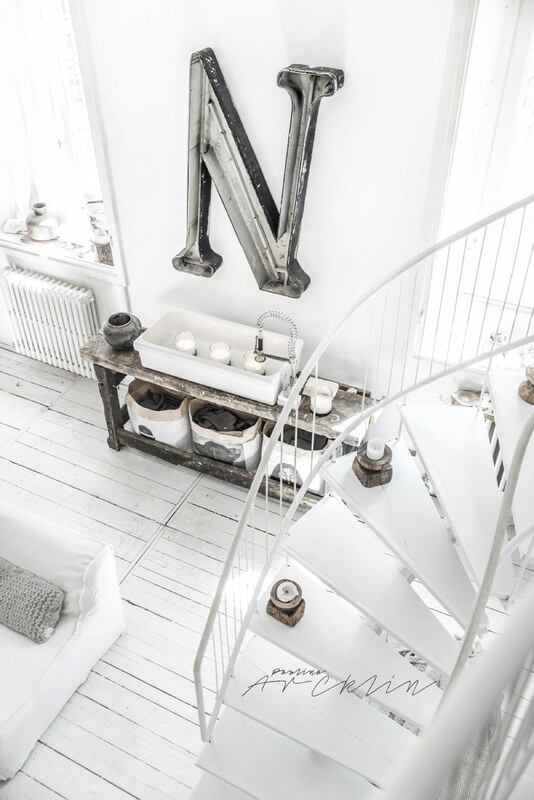 Even the most beaten-up signage becomes beautiful repurposed artwork for the home. The font is especially gorgeous – it’s certainly not the average auction find. 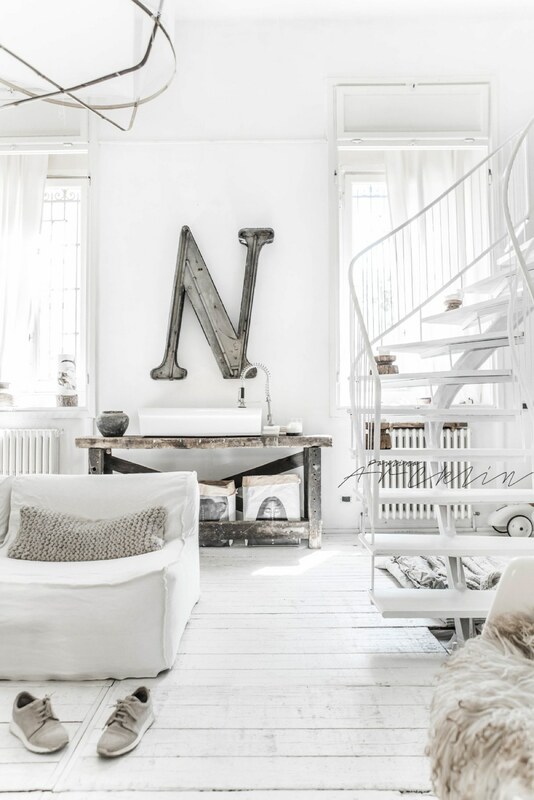 Dinosaur figures are just one of many eclectic choices, demonstrating that anything can become whimsical decor with a simple coat of white paint. Don’t miss the rolling mannequin bust near the entrance. 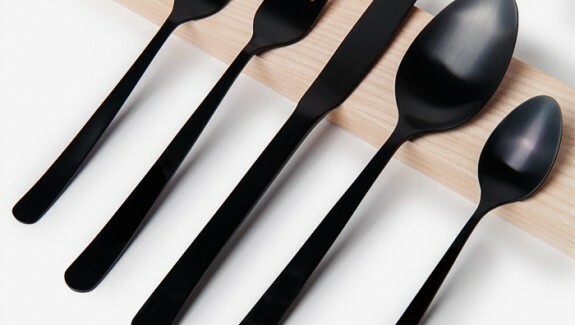 This piece serves as a stylish coatrack for everyday living, but of course makes a useful prop for photography work as well. The lofted area hosts the chic and simple bedroom, with the kitchen tucked away beneath. 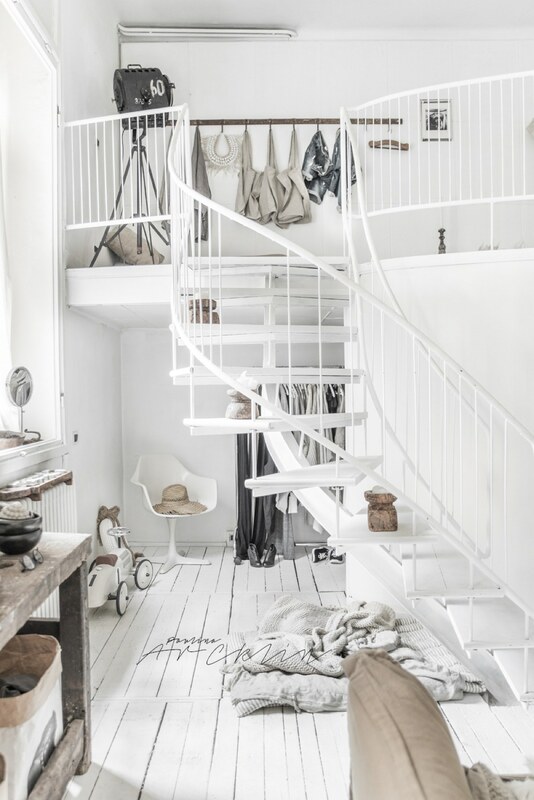 There would be plenty of room for a small office behind the staircase if it weren’t occupied by coat racks. 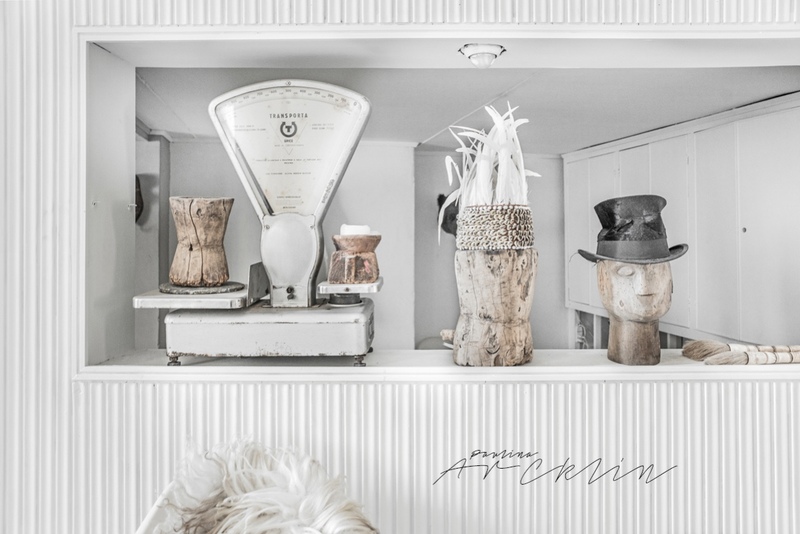 While the interior window allows a somewhat open connection to the living room, an assortment of interesting objects brings character to the view. 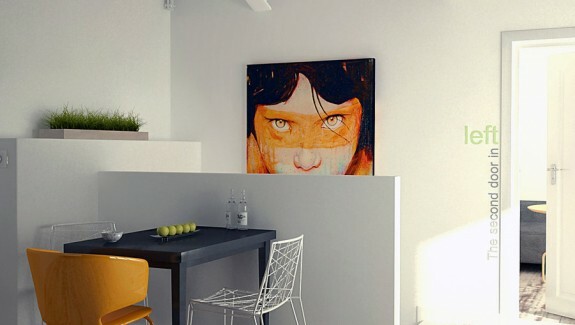 The other side of the open living area contains the dining table and a few creative storage solutions. 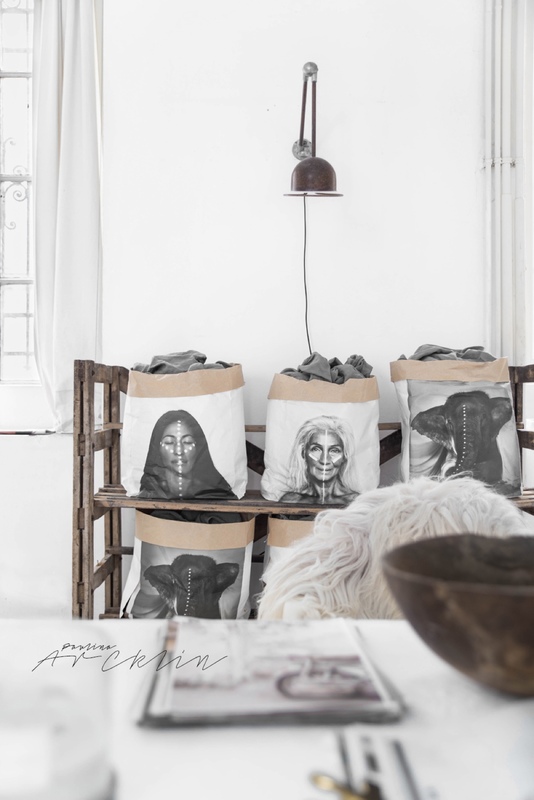 These gorgeous bags currently hold throw blankets, but the possibilities are endless. 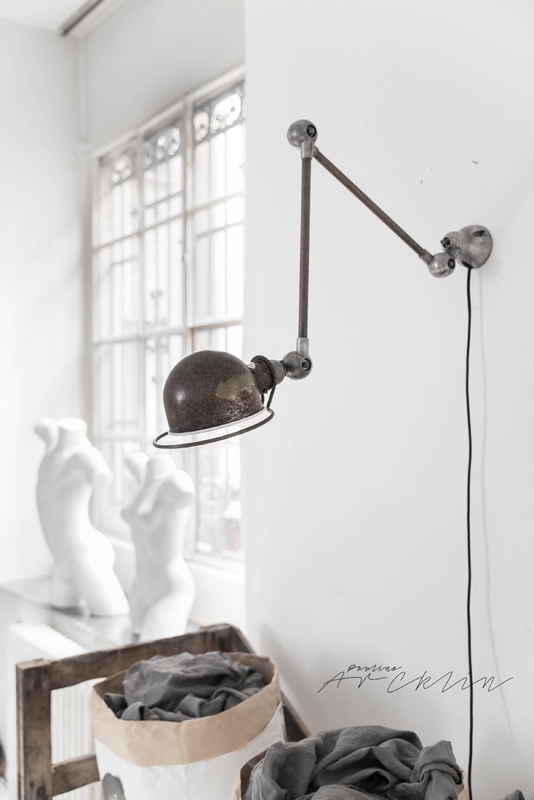 Above, the lamp is a classic design by Jean Louis Domecq, famous around the world as the Jieldé lamp. 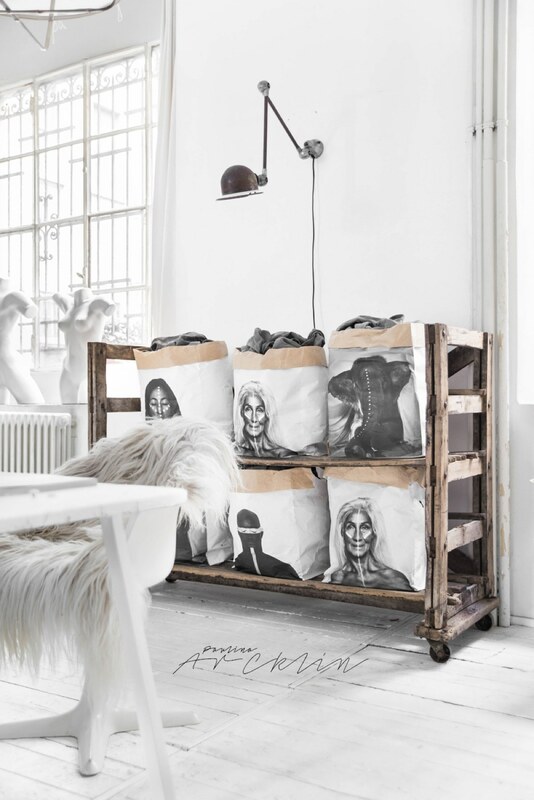 It’s an incredible addition to any industrial interior, but this application highlights its flexibility across themes. Center-stringer staircases like this one are a cool modern look for those who want to go with open risers. The effect is open and airy, allowing plenty of sunlight to filter right through. 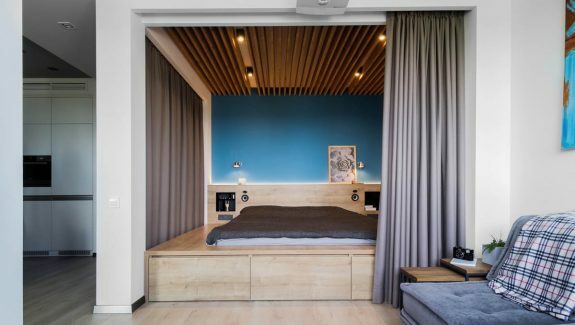 Functional open storage space hides above and below the stairs that lead to the bedroom mezzanine. Both coatracks make it easy to cozy up or cool down while transitioning from one part of the home to another. 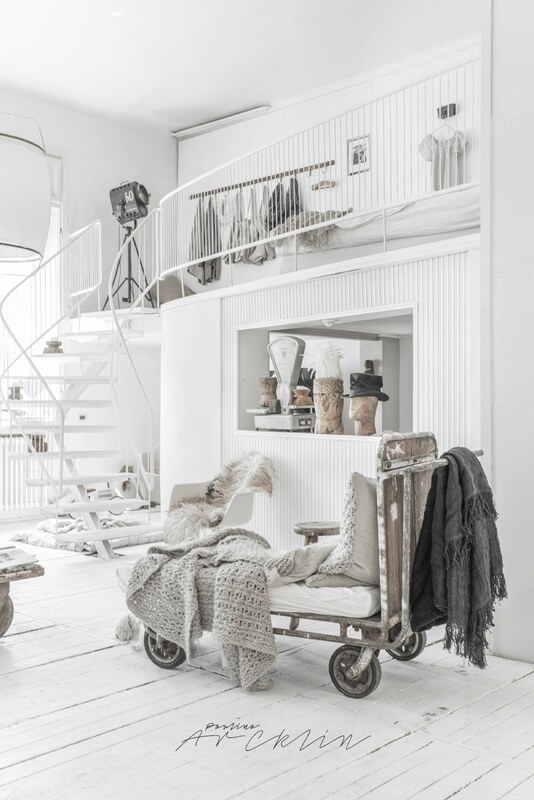 Upstairs, the bedroom is so bright and focused. Storage cabinets and an arched closet reduce clutter, leaving plenty of room for king-sized sleeping arrangements. 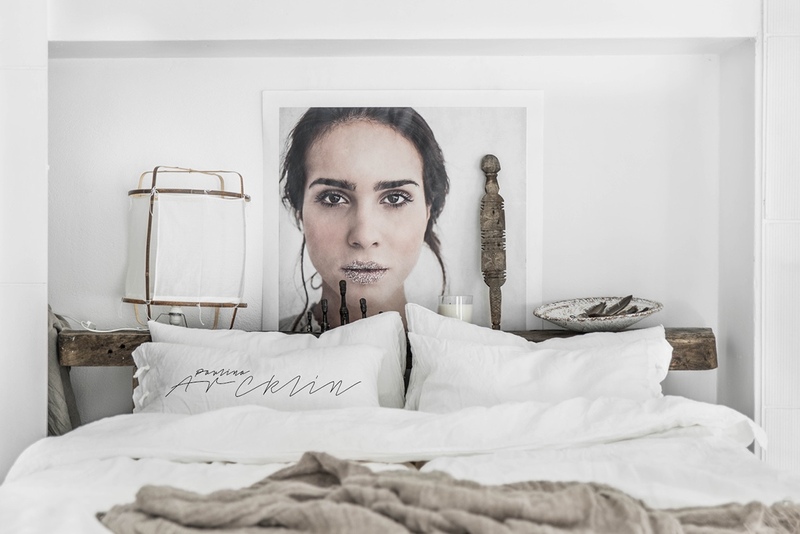 Bold photography focuses the eye toward the center of the bed. While the headboard shelf takes an unconventional form as a rough repurposed beam, a single antique bedpost sits balanced as a throwback to traditional styles. 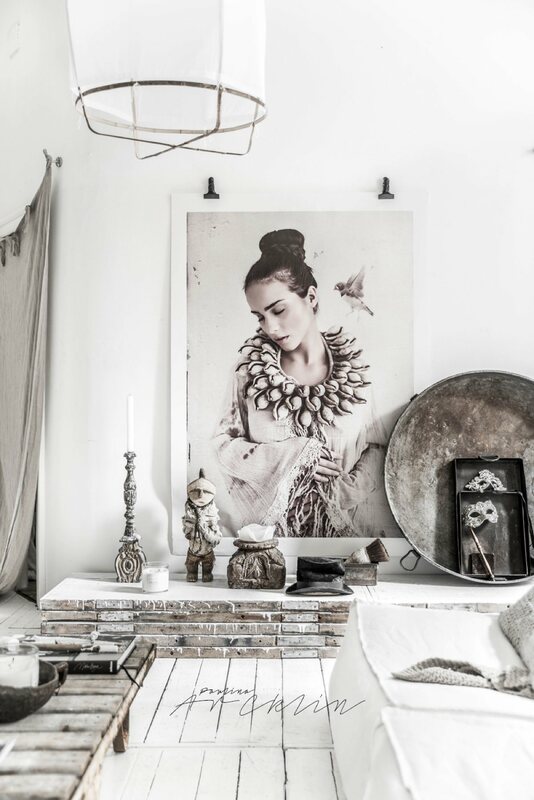 Black and white photography plus painted and distressed frames is an easy way to make even diverse prints look coordinated. These, of course, are already coordinated by their subject matter. Overall, while the architecture is beautiful on its own, the special objects that fill the home are what make it so special. It’s a one-of-a-kind space.